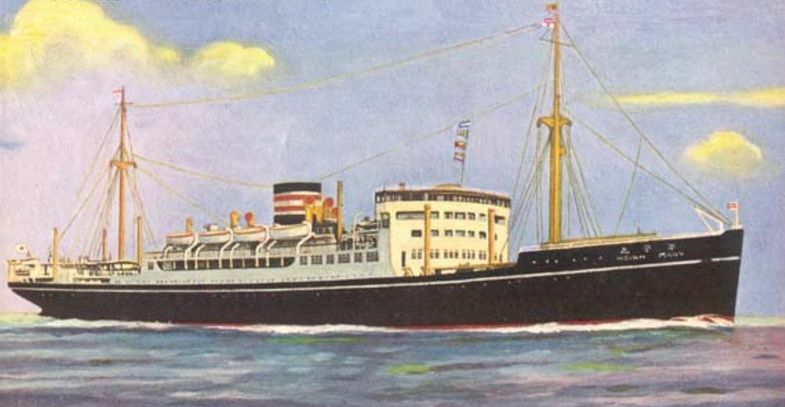 In 1941, both HEIAN and HIE MARUs were requisitioned by the IJN from their owners, the Nippon Yusen Kaisha Kisen (NYK) (Japan Mail Steamship Company), Tokyo, and ordered converted to submarine depot ships. HIE MARU was torpedoed and sunk off Truk in November 1943. HEIAN MARU was sunk by TF 38 planes in the raid on Truk in February 1944. Propulsion: 2 Burmeister & Wain diesels, 2 shafts, 7, 600 shp. Armament: Four 5.9-inch (150-mm) single mount guns, one 3.5 m range finder, two dual 13.2-mm machine guns. In 1943 changed to two 120-mm AA gun (10th Year Type), two Type 96 25-mm twin mounts and two Type 93 13.2-mm machine gun twin mounts.